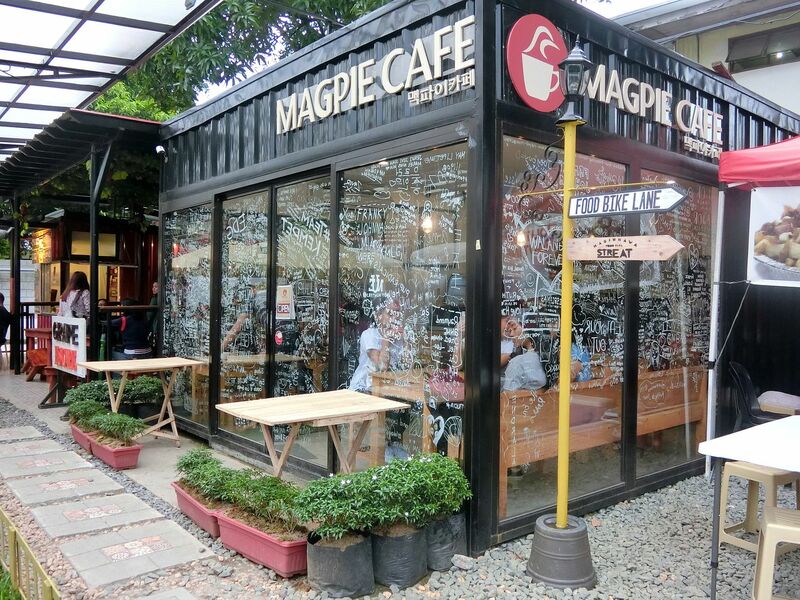 Maginhawa Street is famous for all the artsy restaurants and of course, the delicious yet affordable food that the artsy restaurants serve. I've been to Maginhawa Street a couple of times but I still get overwhelmed each time I go! One will never get tired of it as there will always be a new place or new food to try! My friend and fellow blogger, Andy from Shimmerjjang.com, and I decided to go one time to have a food challenge. Actually, we both just like eating! hehe At first, we were just going to film another "Eating video" but I figured it would be more fun if there would be some sort of challenge. So, challenge it is! I came up with the Php500 Peso Maginhawa Street Challenge! 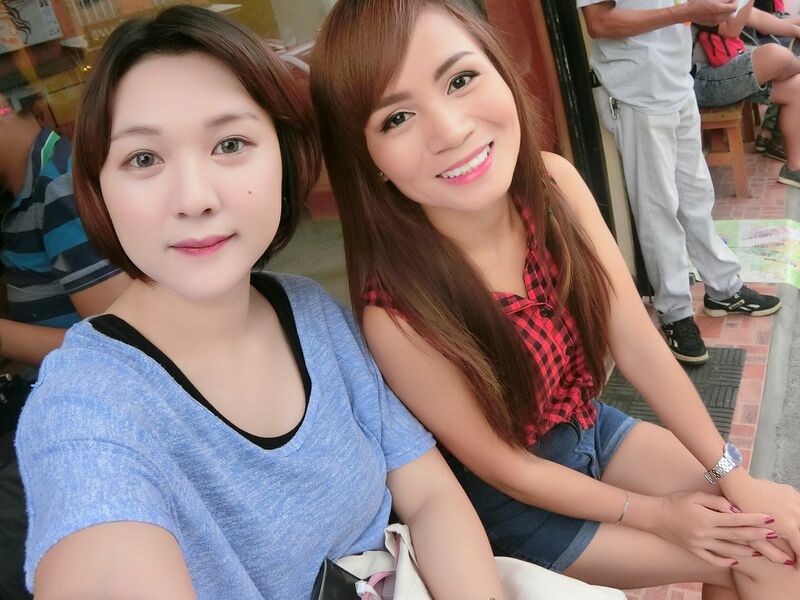 We wanted to see how much food we can eat and how many restaurants we can visit with only Php500 budget. Please watch the FOOD VLOG below. I have been wanting to try at Iscreamist for the longest time. Friuli has always been one of the top recommendations so I made sure to put the two restaurants on the list. Andy wanted to go to The Nook Cafe so I also included that on our list. We got there at around 3 PM but as expected, there was already a long line of people waiting to get in. Iscreamist moved to a new location, but fret not as it is just right across the street from their previous location. It is now in the same area as Stuff Over Burger. It could be a little tricky to find as they are inside the building and there isn't any signage outside. Iscreamist doesn't have a lot on their menu, though. It was sad, too, because after about 30 minutes in line, we finally got in but when we tried to order, the lady said they were out of the Smores (Dragon's Breathe) so we couldn't get it. 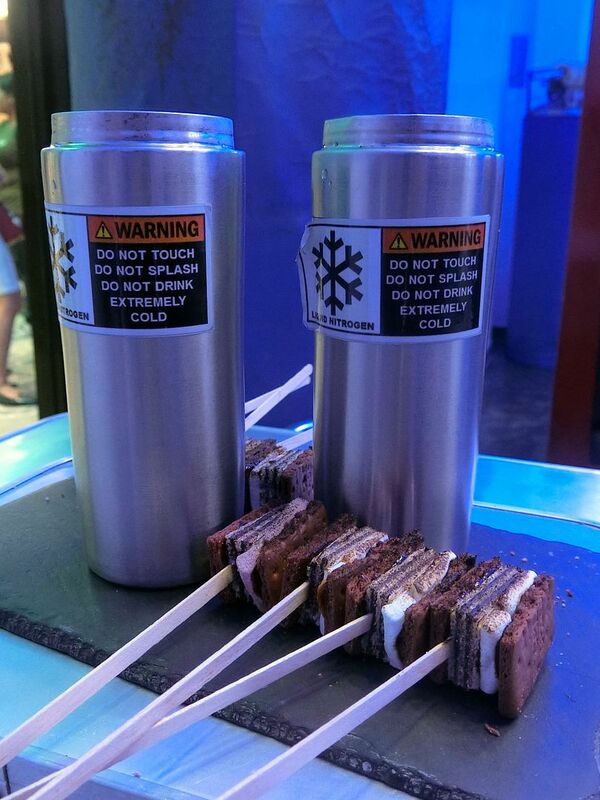 We didn't want to get the other Ice Cream as it is more expensive and one wouldn't really be able to enjoy the Liquid Nitrogen. We were sad so we just sat there for 15 minutes. Good thing, the delivery guy came so we were finally able to order! 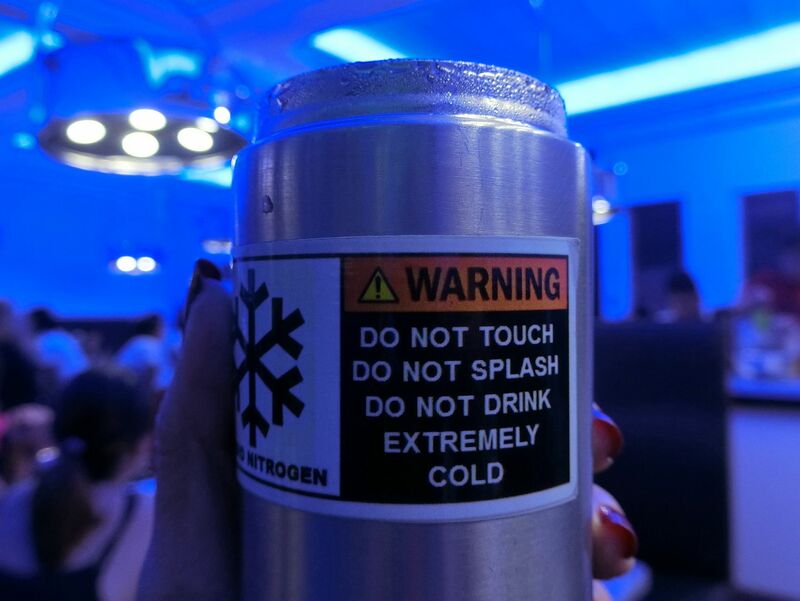 It is so fun to dip the cookie in the Liquid Nitrogen as you will really witness how it freezes! Yes, the cold *smores* never bothered me, anyway! After that, we did a bit of walking and explored some artsy shops around the area. Our next stop was Friuli! From the outside, it may not look interesting as the cafe looks plain and boring. As usual, we had to wait in line again! Good thing we only waited for 10 minutes. It was our first time, as well, so we didn't know which ones to get. Of course, we had to get Pizza and Pasta! What we did, Andy and I added the total of the bill then split it in two! Can't believe we only paid Php 162.50 per person because we were really full and the food was really so satisfying! It's really a must-try, guys! 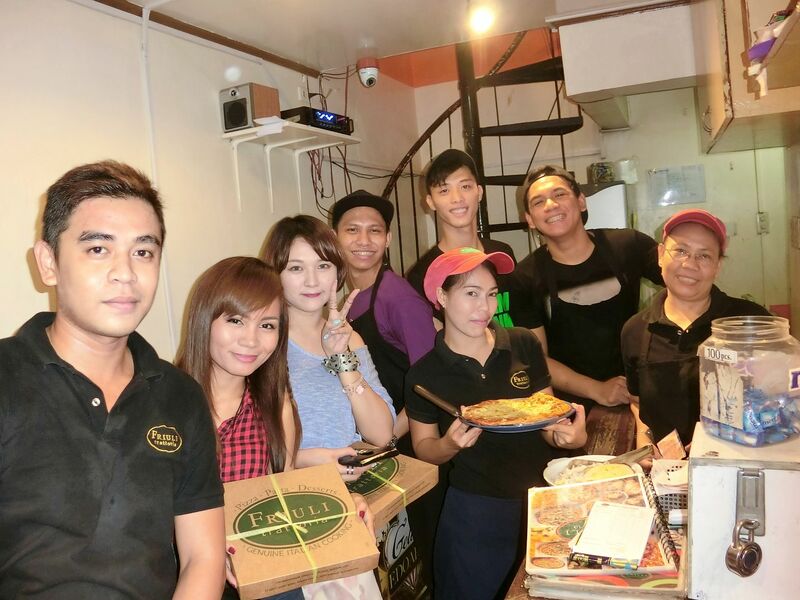 Another thing I liked is that the staff at Friuli are all nice, friendly and warm! I love going to restaurants with nice and friendly staff! It always makes me want to go back! It was a bit dark when we got out of Friuli. We didn't know where The Nook Cafe is located to we kept walking. When we were a few blocks away, we got to the Artsy Cafe. I always see that cafe from the outside so I told Andy we should check it out. When I last saw it, it looked really artsy from the outside. But when we went it, there was a crazy amount of people and the place wasn't really artsy, at least in my opinion. 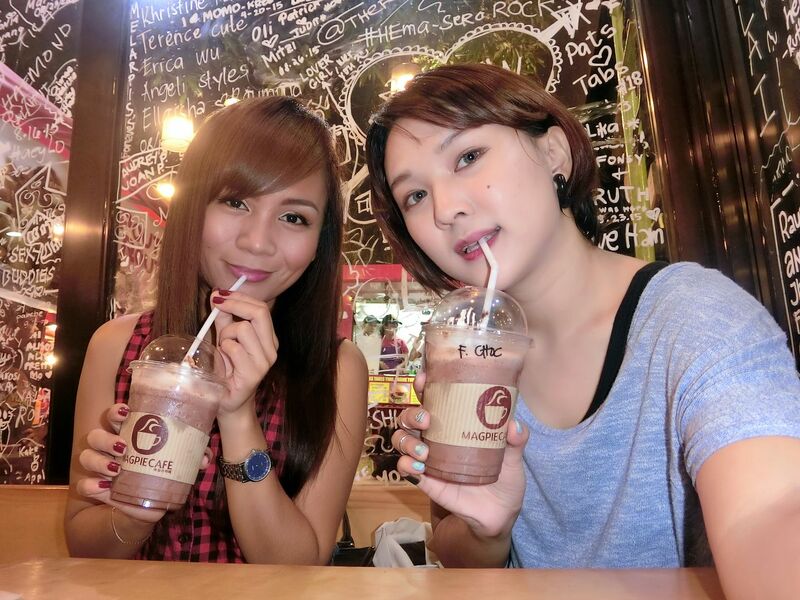 So we just went out and tried to look for The Nook Cafe. When we finally found it, the attendant said we were going to be 14 on the list and it would take about an hour before we could go in and have coffee. What?! Ridiculous. So we just looked for another cafe where we could chill. Wait, this paragraph is too long! 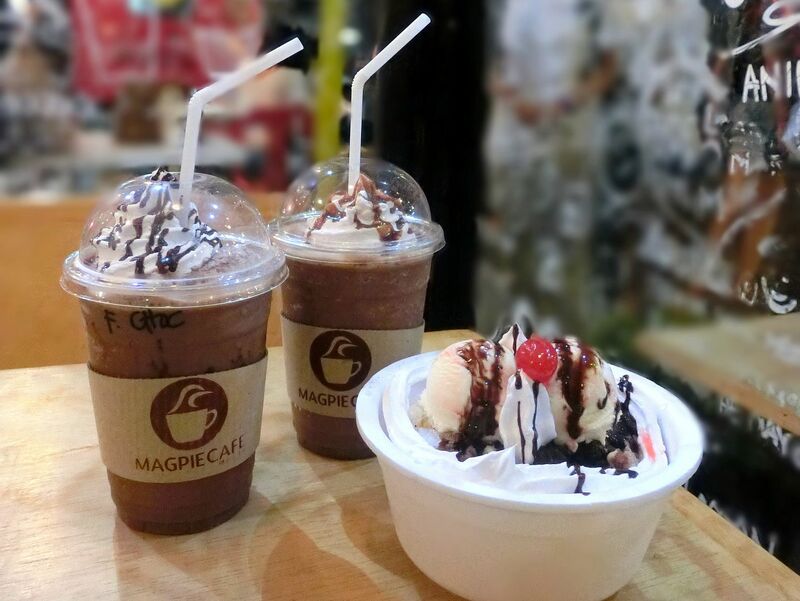 Earlier, we saw an artsy looking place called Magpie Cafe. We know it's a Korean Inspired cafe so Andy and I decided to just go there. This may be our biggest splurge and biggest mistake that night. Find out why! The place is really artsy, as you can see in the photo! We are surrounded by cute writings on their glass wall. They also play Korean songs so that's a plus point! The thing that we didn't like was the food! The Frappuccino that they serve, in my opinion, is too plain and normal to be selling the same price as a cup of Starbucks. It tastes like a regular coffee shake you would get from some random shake stall. And the bingsu, OMG! How do I even begin to explain how it didn't taste like a Korean Bingsu at all. There wasn't any "phat"/sticky rice balls to begin with! The whipped cream was tasteless, too. The only thing I liked were the 2 cherries! So, I'd say that's too expensive for just Php150 whipped cream in a styro bowl! Anyway, I still loved their artsy wall so I had to take a photo! Overall, we spent Php452.50 per person! We were really full and satisfied! If we had eaten at some fancy resturant at the mall, our Php500 would have only gotten us a platter of something. Maginhawa Street is really a nice food-trip place! I really recommend going there with your family and friends! 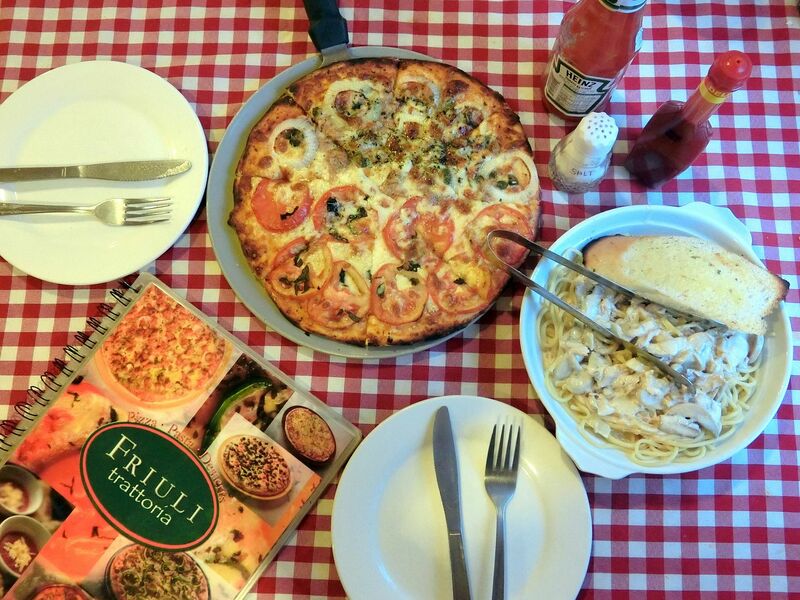 I am actually craving for the Margherita Pizza and the Tuna Spaghetti as I'm writing this blog post. And it's 12:30 AM so I won't be able to do anything about this craving! 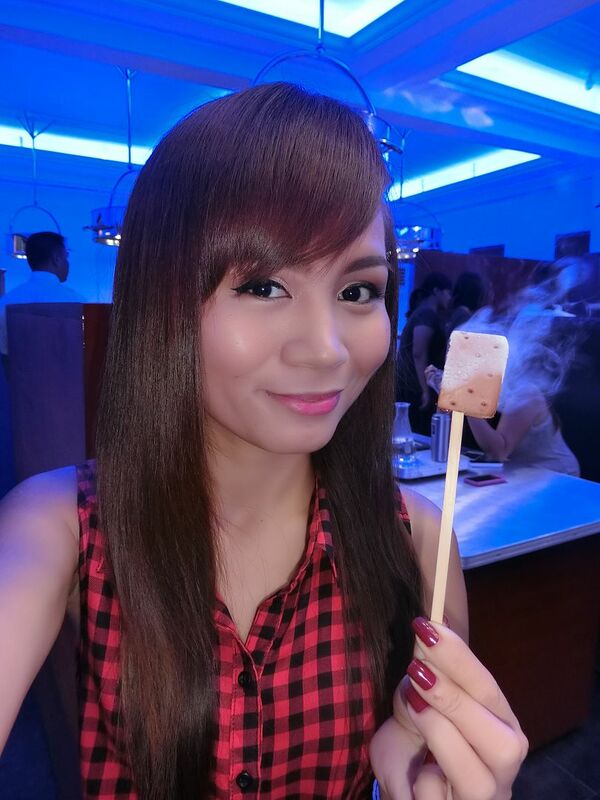 I hope you enjoyed this blog post and the eating video! I also dare YOU to take the Php500 Maginhawa Street Food Challenge. 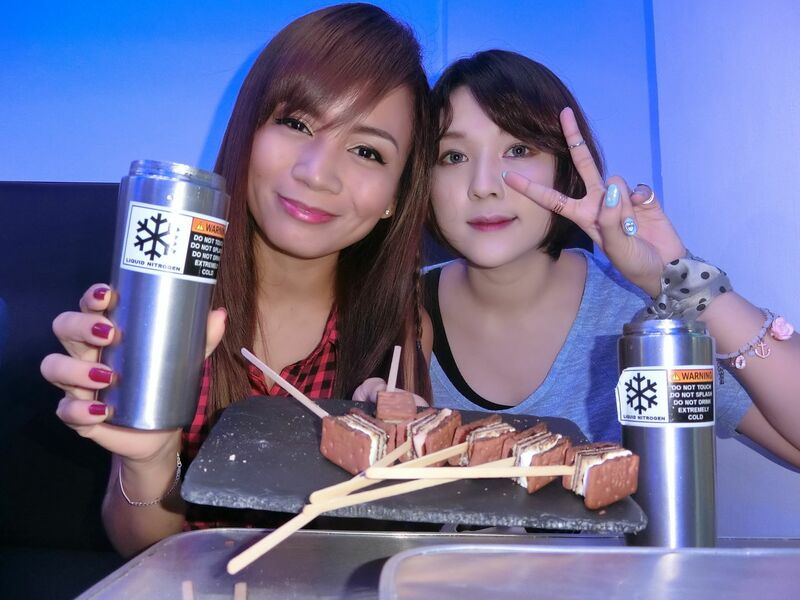 If you ever eat at Maginhawa Street, tag me on Instagram @RealAsianBeauty! I want to see what food you had so I could try it next time!